Do you believe in destiny? I believe in this life, destiny will bring people together or associate persons with a place. And I am experiencing this and would like to tell you about my special predestined experience. 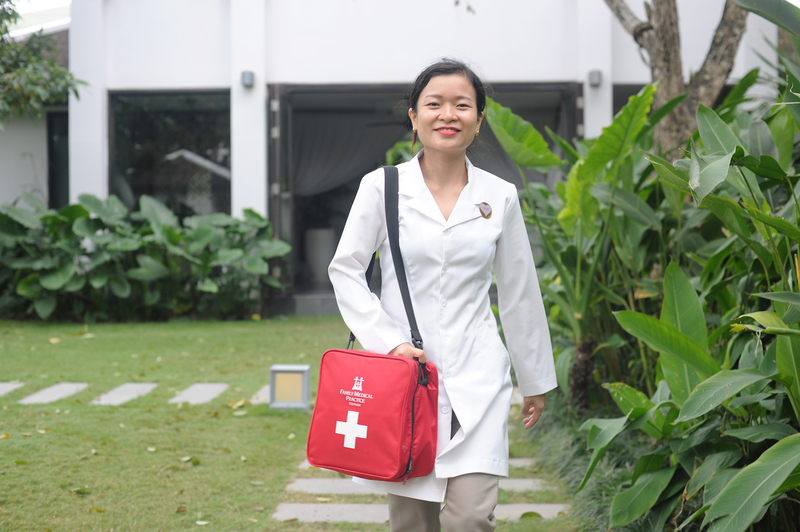 My name is Duong Thi Hoa and I am the resort nurse. My job is to take care of the health of all the stars (our name for our staff) and also of all the guests in the resort. In addition, I also support the team of spa receptionists and child care at kids club. I really enjoy my job! 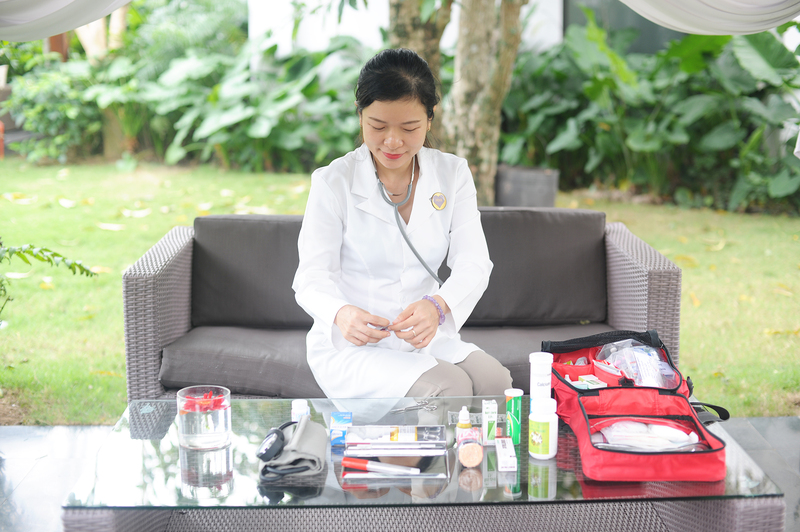 Before, I worked for a few years at the Pacific hospital in Hoi An – my home town. Here I have received many experiences and skills in the treatment and care of patients and one day, I felt confident enough that I have the ability to move on to a new turning point in my job: becoming a resort nurse!I got the opportunity to join a 5 star hotel, and I and I improved and developed my skills and experience as well learning to take care of tourists needs. But, I always felt as a Nurse, that I need sharing, care and understanding in the work with the people around and unfortunately, I did not find that in this place. That was reason I had to leave to find another opportunity.And finally, I found my special place. When I came to Fusion Maia, I had a very deep and good impression after I received a warm welcome statement: “Welcome to our Family, this is your home, your family” from Ms Thanh, our Human Resources Manager. And until now, that statement is still in my mind and heart as if it was at the beginning.I started my work here at Fusion Maia, getting acquainted with new tasks, new colleagues and new manager. I felt the closeness, love, sincerity of the stars and the management for each other. I am at work, but I feel like I am at home, hand in hand with family members trying to complete tasks and goals together. If anyone faces any difficulty, the other member will come to help and share with them right away. I start my busy day with my main job of take care of guests with any health concerns. Every time, I start working, I always wish that nothing bad happened to the health of guest and all the members in this family. The guests spend a lot of money and precious time as preparation for the trip and if their health is in trouble, this means that the trip will not be as they dreamed. Sometimes, I couldn’t sleep when I thought about parents worrying when their child has a fever, or his wife very worried about her husband having health issues on their holidays. Many times my tears have fallen when I saw the guests suffering this pain. So, I try my best to treat the guests with all my heart and do everything that I possibly can. I was so happy when I saw the smile return on the tired face of the guest after the treatment or simply to see the guest enjoying their entire vacation with us at Fusion Maia. 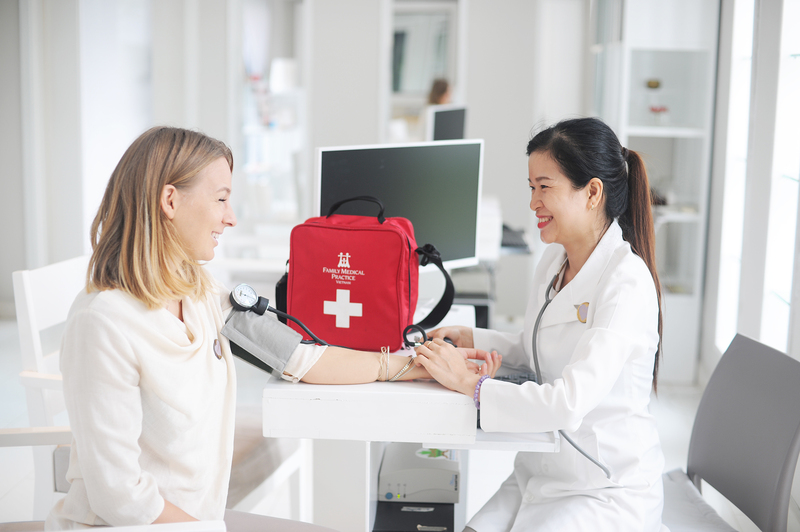 Management has set up much modern medical equipment, first aid supplies, medicines and natural remedies available to assist me from minor to the most emergency cases to do my job well. For me, working as a Nurse, but being part of the spa team is such a blessing! When our work has free time, we are trained more on yoga, meditation and energy exercises. This helps us to increase health, reduce our stress and have more energy to have a successful work day. I have had a chance to know what wellness is – our Resorts’ Natural Living Program, shows us how to lead a balanced life – from nutrition, to exercise, to mindfulness – all to help guests and stars to have good health and avoid illness with a tough body.I can confidently tell you, after working here, I feel 3 years younger than my age (my old friends say the same when they see me!) – that is how I can say that wellness has helped me to change my self and to feel healthy and energetic. I hope that all our family members will follow this example and practices and have a good health to contribute to making Fusion Maia even more special. Finally, thank you to destiny that brought me to meet Fusion Maia – The Fusion Family to all of us!